Posted on December 21, 2011 by M.E. 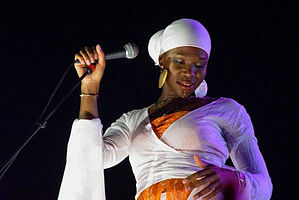 According to a lawsuit filed earlier this year in federal court in Tennessee, Noreen Nalli served as India.Arie’s manager from 2005-2009, when she claims Arie dumped her without notice. The two are now involved in a she-said-she-said battle. Nalli claims India.Arie still owes her money from when they worked together and India.Arie counter-sued … claiming she overpaid Nalli. But here’s the interesting part … Nalli claims India.Arie constantly canceled shows, rejected offers to perform, and would be unavailable for weeks at a time … which hurt record sales and therefore cost Nalli additional money. Online sites for dating prisoners have proliferated in recent years. On the surface, these sites profess to specialize in connecting people behind bars with those seeking pen pals. Behind this façade, sites with names like jailbabes.com act as bridges that transform long-distance friends into lovers. Yet his site and those similar to it feature inmate profiles as inviting as any on OkCupid. Posing in spruced-up versions of their prison uniforms, prisoners use these sites to sell themselves to potential pen pals and describe the types of people they want to meet. So How Much Money Will Vanessa Bryant Receive In The Divorce Settlement? Vanessa Bryant will probably receive a minimum of $75 million, in addition to spousal and child support, from a divorce settlement with her husband of ten years, Los Angeles Lakers star, Kobe Bryant, the L.A. Times reports. According to The Times, Vanessa’s mother revealed years ago that the couple does not have a prenuptial agreement. Kobe’s net worth has been estimated between 150-200 million dollars.California law stipulates that a spouse is entitled to “maintain her standard of living” post-divorce, attorney Dmitry Gorin told The Times. Nicki Minaj released her new single ‘Single Hoe’ to itunes earlier Tuesday evening, and from the sound of it Roman is back in full effect. 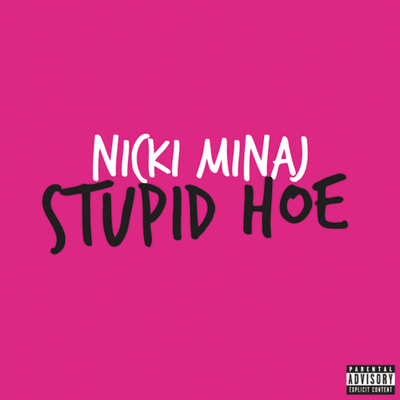 The animated single is the first to premiere from her sophomore album, ‘Pink Friday: Roman Reloaded,’ dropping on Valentine’s Day 2012. Did Nicki hit or miss with this track??? Posted on December 20, 2011 by M.E. Jay-Z plans to make sure that baby Brooklyn is protected at all costs. Newser.com reports that the “Otis” star has spoken with Hollywood legend, Tom Cruise, about armored stunt vehicles to make sure the heiress to Hip-Hop royalty is kept safe. This news comes on the heels of wife Beyonce’s “mom van.” A one million dollar Mercedes Benz van that comes equipped with “$150,000 audio system, a full bathroom complete with a shower, and wiring for DirecTV and wi-fi,” reports Mediatakeout.com. Maybe instead of Brooklyn, they should name the baby Malia or Sasha, because this is definitely First Family status. 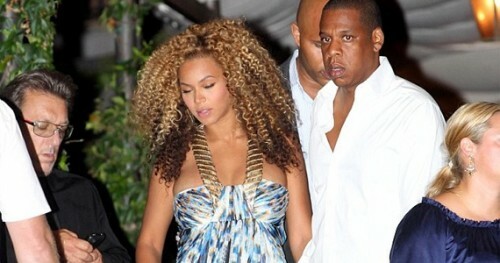 Though Beyonce originally said that she was due in February, rumor has it that she’s actually due this month. Fans will just have to wait to find out. Trent Arsenault, 36, is being investigated by the federal government for selling his sperm to women he met online. The San Francisco minister has fathered fourteen children in the last five years by offering it to women through his personal website.